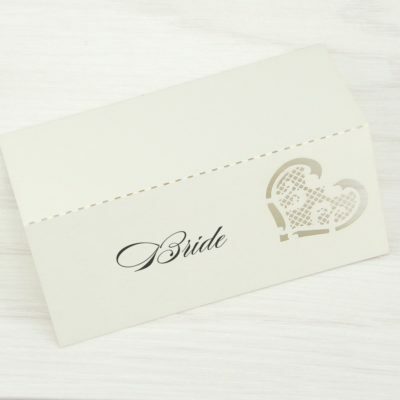 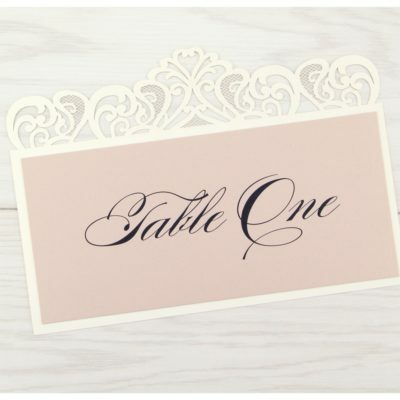 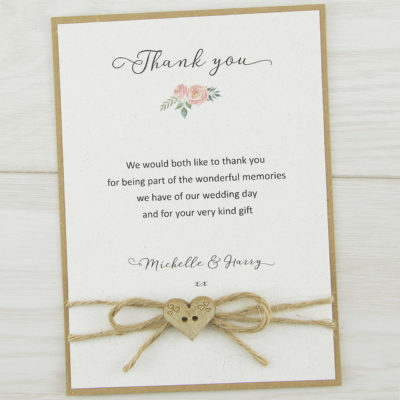 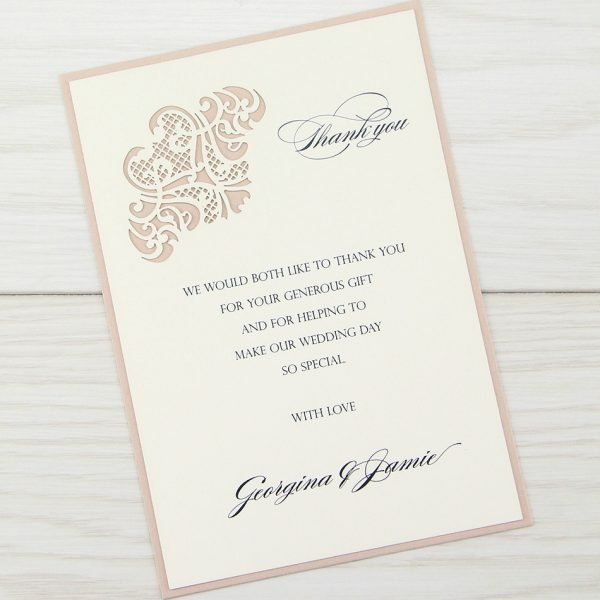 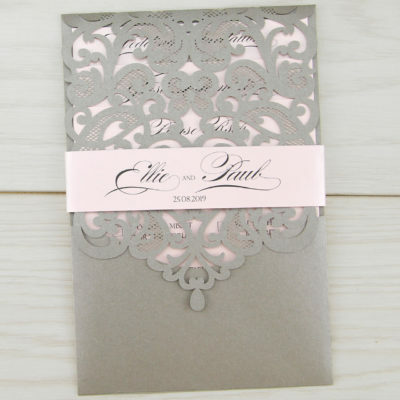 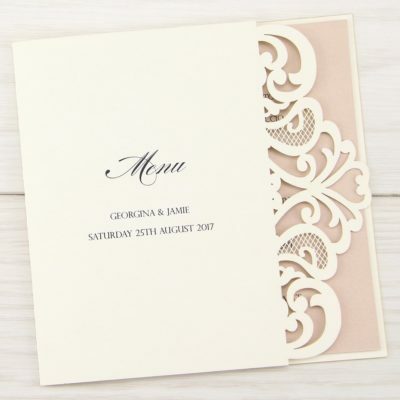 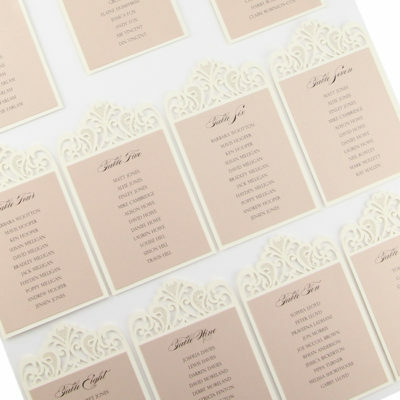 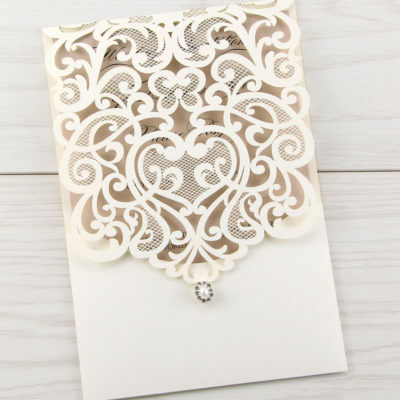 Send a personal thank you note to your guests with our delicate Josephine card. 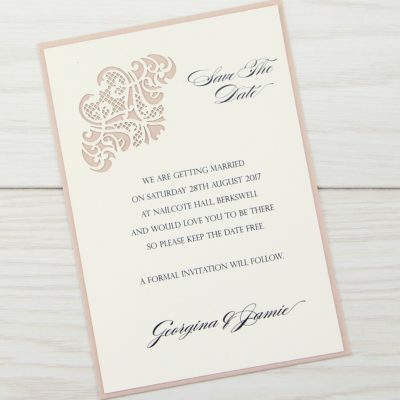 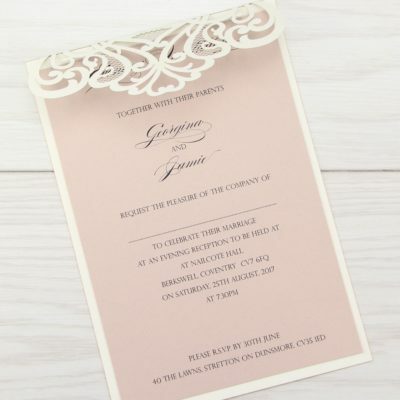 Customise the colours to suit your theme. 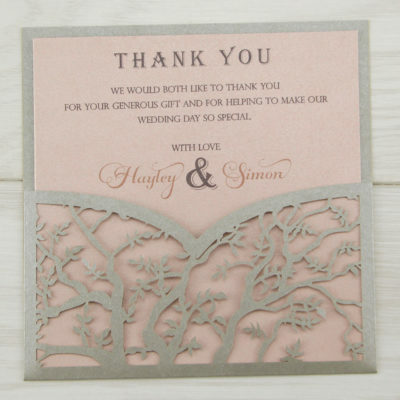 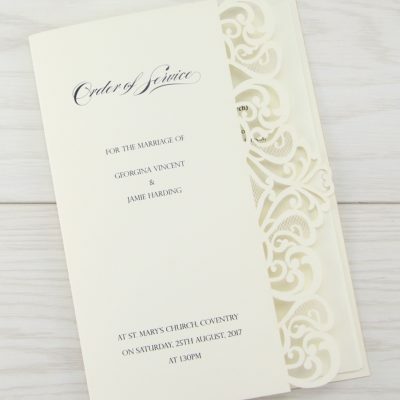 Base card, laser cut with personalised print, envelope.